Master of San Pier Damiano is a formal name given to an artist who worked in the Late Gothic style in Faenza and whose catalogue was compiled by Anna Tambini. One of the two saints portrayed in St. John the Baptist, who can be recognised by his traditional attributes: a camel hair cape and the cartouche with the words “ecce agnus dei ecce qui tollis peccata mundi”. The other board bears the likeness of a saint traditionally recognised as St. Vitus the Martyr, but is it likely to be the image of St. Terence. Indeed, it depicts a young saint with a thick head of hair, dressed as a soldier and holding the palm of martyrdom in his left hand and a banner with a cross in his right hand. This symbol can be linked to St. Terence, the long-time patron saint of Faenza. Statutes dating back as far as 1414 include him among the patron saints, together with St. Peter, St. Paul, and St. Apollinaris. Both boards come from the polyptych that Master of San Pier Damiano created during the 1420s for the Church of Santa Maria Foris Portam. 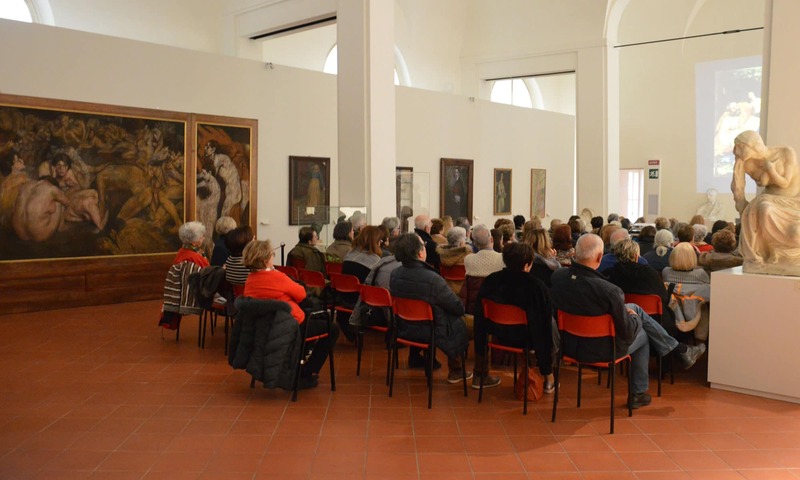 Other parts of the polyptych are at the Diocesan Museum of Faenza and at the Ravenna Museum of Art.